More than ever, we are looking for innovative new ways to experience something that includes the welfare of the mind, body, and spirit. We posses a powerful healing tool that helps us look at each other and actually see us for who we truly are. How often do we allow ourselves to make deeper contact with another human being? The unique act of keeping one’s eyesight – whether it’s a new person, a potential employer or an old friend – has the power to spark up a deeper connection. However, it is true, that long eye contact is no longer good practice for the fast, technology-inclined society. Adults keep eye contact between 30% and 60% of the time, on average, while 60% to 70% is needed to create feelings of emotional attachment. Today, relations are usually ‘transactional’; one person gives and the other receives. In the process of looking into the eyes, participants are called upon to receive, which could be strange. The quality of interpersonal relationships is an indicator of their level of peace and happiness. Both the quantity and the quality of the relationship affect mental health, behavior, physical health and the risk of death. Simply put, eye contact is a catalyst to improve the feelings of emotional attachment. 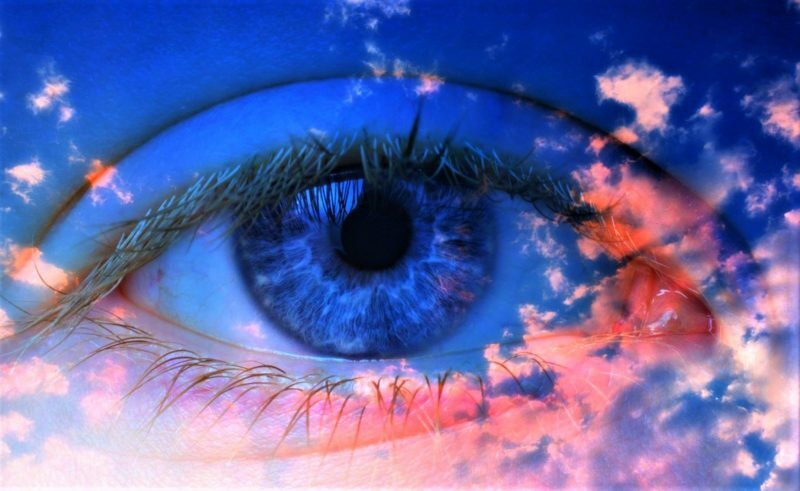 The act of eye gazing is well known and practiced in ​​Buddhist tradition and spiritual psychology. Contemporary eye-gazing practice turns the power of this exercise into a universally accessible practice. In this particular eye-gazing model, the participants are put in pairs, keep immediate, uninterrupted eye contact that lasts between 60 seconds and 5 minutes. During the eye-gazing session, participants are on a journey of exploration of excitement and healing emotions. They are required to remain silent during the process and to follow the instructions while in the background playing carefully selected music. Eye-gazing as a practice can be a very powerful method of healing because it helps us to see ourselves in the person sitting opposite us. Directly challenges the illusion of separation and gives us the opportunity to directly experience our fundamental unity. Some say that eye contact has opened the door to a new way of seeing and seeing the world both inside and outside. At the energetic level, powerful healing waves can be felt throughout the room, encouraging a sense of deep unity with everyone present and with everything that is. During the exchange participants can experience a meditative state. The eye-gazing process invites the participants to recall their innate values. The more an individual can accept and surrender everything that she/he is emotionally emanating, the greater the ability to go deeper, which makes her/his experience even richer. The idea to be seen without the need to say or do anything to be appreciated has a significant influence on the psyche.